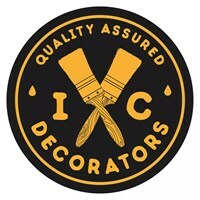 I C Decorators - Painter/Decorator based in Wick, West Sussex. We pride ourselves in offering a quality service every time whether the jobs from one wall to a larger project. Over the years we have always received highest volumes of our work from word of mouth, its only recently we have become more internet based as we felt we had to go with the times! We joined checkatrade recently so our potential new customers can take a look at some of our previous projects and to see what our customers thought of our work they’ve had done themselves. We offer free no obligation quotes and we are always happy to give any advice on works you require. We cover the whole of West Sussex. Within 30 miles of Littlehampton. All BN Postcode areas.